The manual comes with a CD-ROM presenting two more practice tests with answers. One test is in Calculus AB, and the other in Calculus BC.. 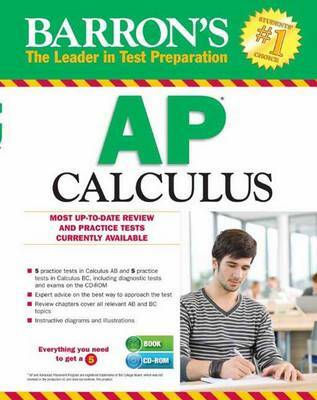 BONUS ONLINE PRACTICE TEST Students who purchase this book or package will also get FREE access to one additional full-length online AP Calculus test with all questions answered and explained.